Hello, welcome back to my tutorial, i recently shared tutorials on how to start making money with Google adsense and Adquet, you can start monetizing your blogspot website with Nairapp, and also the good news is that Nairapp pays in Naira. If you know very well how to monetize your site, you can make thousands of Naira on Nairapp, Nairapp offers different types of Banners, they also pay on PPC, CPC and CPM. 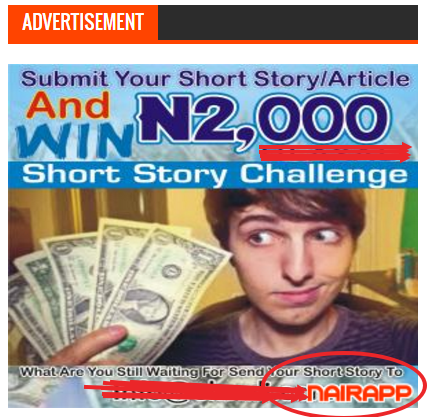 Here is how to monetize your website or Blog with Nairapp, visit their official website, Nairapp.com or click here, after that, click on sign up or Register, select publisher, add your personal details, your web address, and register, confirm your email address and you are done, don’t forget to add your Bank details, your Billing information and set your minimum withdraw..